Danny and Jamie Allen. Submitted. 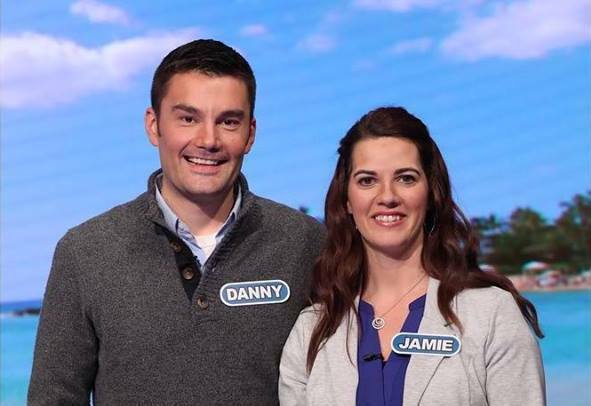 Jamie Allen, business-education teacher at Algoma High School; and her husband, Danny Allen of WDOR Radio, will appear as contestants on the game show Wheel of Fortune. An item on their bucket list, this dream came true for the Allens with the help of some of Jamie’s students and a nearly two-year wait to receive an invitation from the show’s producers to audition. After they auditioned in Milwaukee, the Allens earned a call-back, and in November they traveled to Los Angeles to tape an episode. It’s scheduled to air Feb. 8, 6:30 pm, on WLUK-TV Fox 11.